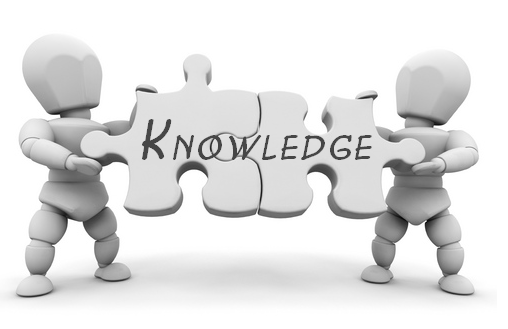 Knowledge Chronicles - Life And Times - Power of the Prez! It's a Presidential Election year and the world is evaluating how effective (or ineffective) President Obama has been the seven (7) years he's been in office! And how much more effective the candidates currently would be if they were to be elected to the Highest Office of The Land! First and Foremost, the President CANNOT just create laws and implement them. He can talk to the Senate and to Congress and to the American People, and attempt to convince them to introduce a bill to either the Senate or Congress that can eventually become a law. and title. Next, the bill goes to the appropriate committee. facts and opinions, make changes in the bill and cast votes. back to the Senate and the House for debate. the Senate or the House, the bill dies. it goes to the President for approval. can veto the bill by refusing to sign it. President's veto is overruled and the bill becomes a law. Despite the President of the United States being commonly referred to as the most powerful person in the free world, his legislative powers are strictly defined by the Constitution and by a system of checks and balances among the executive, legislative and judicial branches of the government. What "Power" does the President have? Once the President signs a bill into law, it goes immediately into effect unless there is another effective date noted. Only the Supreme Court may remove the law, by declaring it unconstitutional. The President may also veto a specific bill, which Congress can override with a two-thirds majority of the number of members present in both the Senate and the House when the override vote is taken. There are two ways that Presidents can enact initiatives without congressional approval. Presidents may issue a proclamation, often ceremonial in nature, such as naming a day in honor of someone or something that has contributed to American society. A President may also issue an executive order, which has the full effect of law and is directed to federal agencies that are charged with carrying out the order. This is why it is important to elect members of Congress that are favorable to the President (or Presidential Candidate) to ensure that he can be as effective as possible with minimal resistance from the Senate and the House of Representatives. Though constrained by various other laws passed by Congress, the President's executive branch conducts most foreign policy, and his power to order and direct troops as commander-in-chief is quite significant (the exact limits of what a President's military powers without Congressional authorization are are open to debate). The Separation of Powers devised by the founding fathers was designed to do one primary thing: to prevent the majority from ruling with an iron fist. Based on their experience, the framers shied away from giving any branch of the new government too much power. 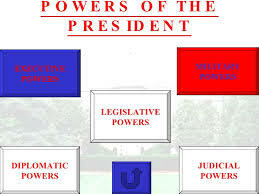 The separation of powers provides a system of shared power known as "checks and balances". For example, the President appoints judges and departmental secretaries, but these appointments must be approved by the Senate. The President can veto bills, or deny them. If he does that, the bill is sent back to Congress. So, for all those who think the current President hasn't done enough to bring about change in this country, he DOES NOT have Carte Blanche authority to do whatever he wants or whatever the majority of the population wants. And those that believe that one of the candidates running in the current election is going to be able to "Overturn" or "Undo" those laws and policies put in place by the current Presidency, it won't be as easy as it sounds. That is the beauty of a Democracy - A system of government in which power is vested in the people, who rule either directly or through freely elected representatives (i.e. Congress)! There is so much more to the process that you can learn through the links below.